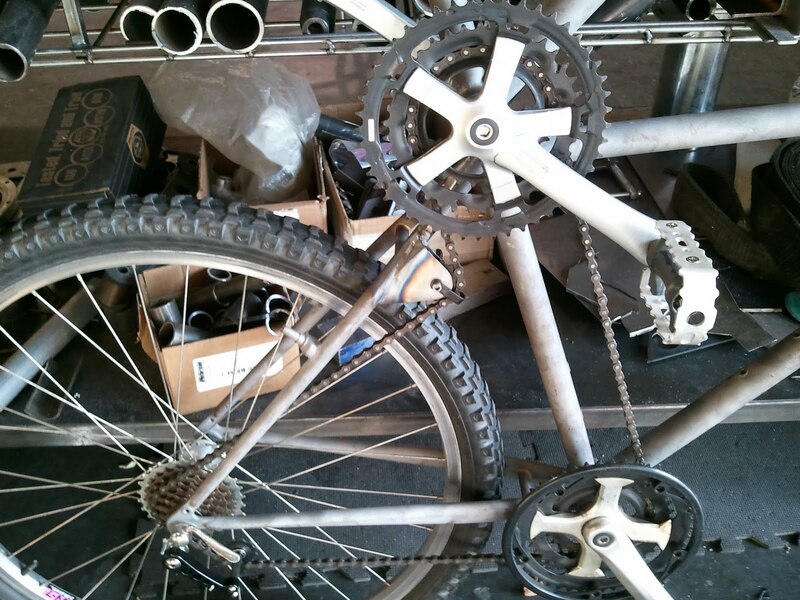 The Tall Bike has been on hold for a few weeks due to CANIDAE Racing Deadlines, and lots of work at the office. 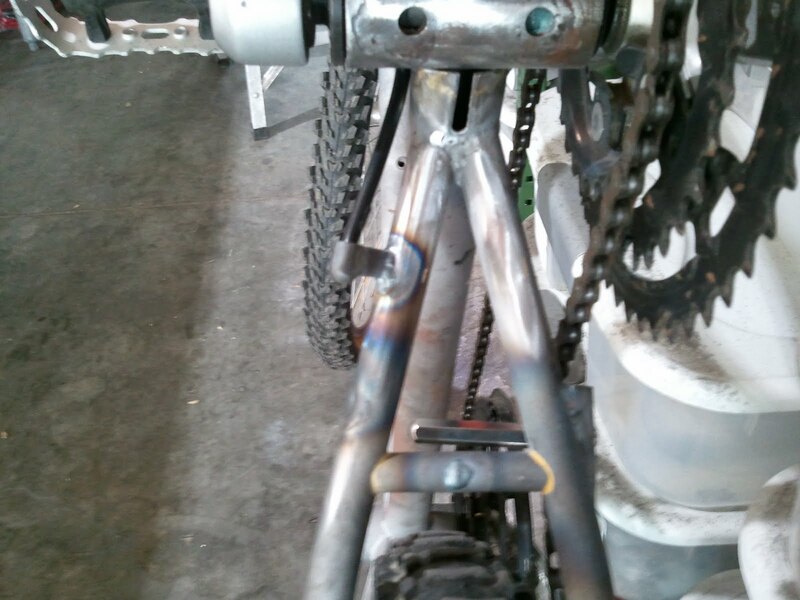 This past week we had some time to tinker with my Tall Bike. The chain linkage was going to be tricky. 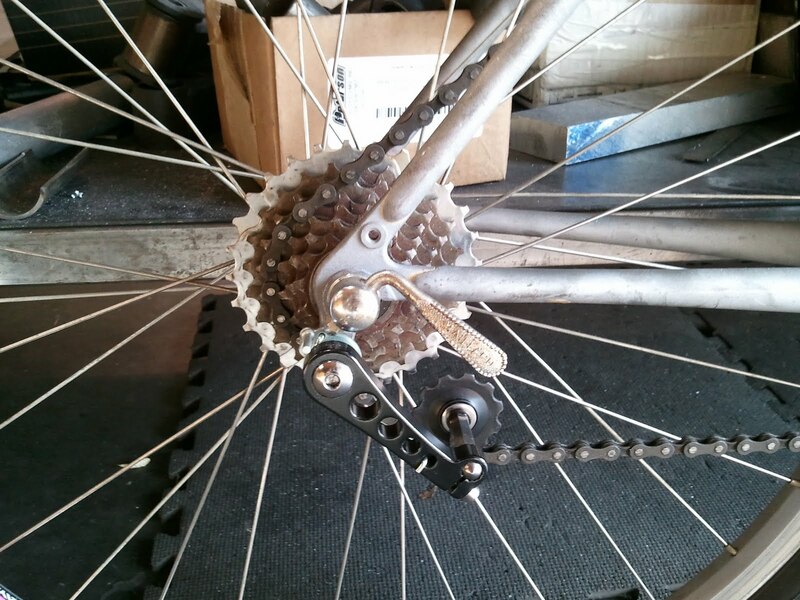 I wanted a clean design and opted to run the chain directly from the cranks to the rear freewheel. This would completely avoid the "Bottom" bike's bottom bracket and be my simple solution. When I linked everything up, the cantilever brakes got in the way. So Nick came up with a solution using pulley and a special bracket on the rear seat stays. 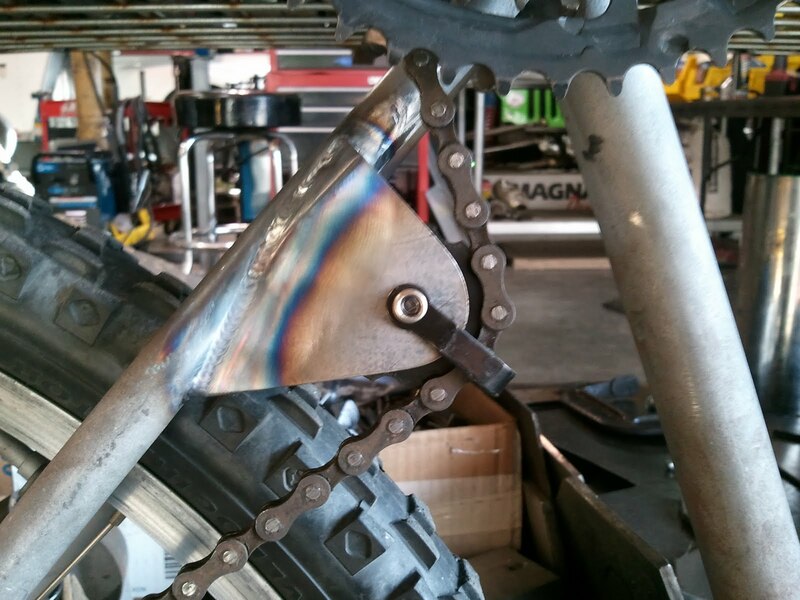 This special bracket allows us to use one continuous chain and avoid the cantilever brakes. I said cantilever brakes, but we are actually going to use V Brakes. Nick relocated the brake cable guide. I bought two single speed tensioner. One for the special bracket and the other to keep max tension in the rear. Below is our unofficial maiden voyage.